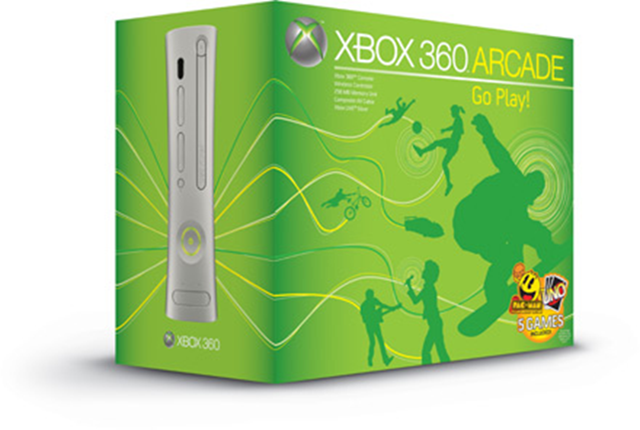 The XBox 360 Core Unit was always a poor alternative to the basic hard-drive enabled console. It was a kind of FU to the consumer that anyone with two minutes and the ability to type in a Google search could quickly realize was going to be a poor way to get into next generation gaming. Even if you wanted to save $100, it was going to cost you $50 just to buy a memory card that would actually let you save your games. What they got for their trouble was some bad press and a machine that many stores refused to stock. With the Arcade 360 Microsoft seems to have actually realized that it pays to treat their audience with a little respect. Packing in a memory card and five decent games, they’ve managed to set it at a price point that won’t make you feel deep regret if you decide to go out and buy a hard drive upgrade later on. It also means there is a viable next-gen console available for under $300. It’s beginning to look a lot like Christmas.